During the trip in Hokkaido, we had a lot of beer! 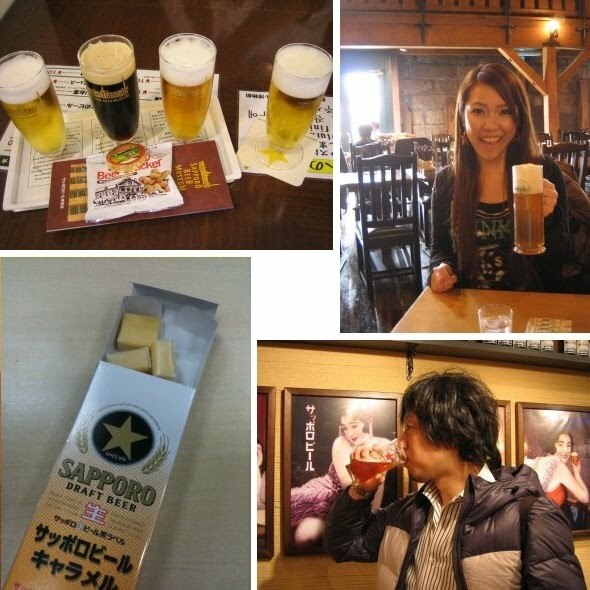 Actually, I prefer shochu-based beverage to beer, but Otaru beer was pretty cool that their yeast is still alive when they serve! At Sapporo Beer Museum, I found a box of beer flavored candies. What do you think?! Ha-ha!! !